Fall Fun and Service Carnivals, cards, and candy, oh my! 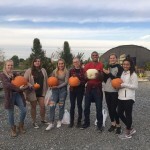 SAL Chapters have taken advantage of the weather, the pumpkins, and the Halloween spirit to serve their communities and celebrate the season! 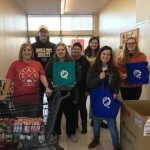 Back to the Boro Members from SAL’s Rowan University Chapter participated in a day of service called Back to the Boro! 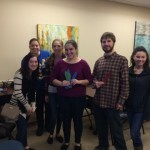 Family Success Center Dinner SAL’s Rowan University Chapter went to the local Family Success Center in Glassboro, NJ, to prepare and serve a Thanksgiving dinner to the local people in the community. 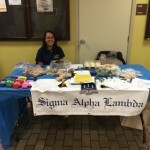 Bake Sales/Light the Night Walk Rowan University SAL members decided to participate in the Light the Night Walk–an event created to raise funds and awareness for cancer research! 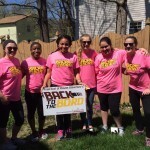 Back to the Boro SAL’s Rowan University Chapter members whipped out their green thumbs to help a local community resident with her lawn care as part of their university’s Back to the Boro service initiative!